Laura Kudia works at Elle.com and was in town visiting family this past weekend. As a contributor to their Global Street Chic section it was an amazing coincidence to run into her on the street right in front of my house. 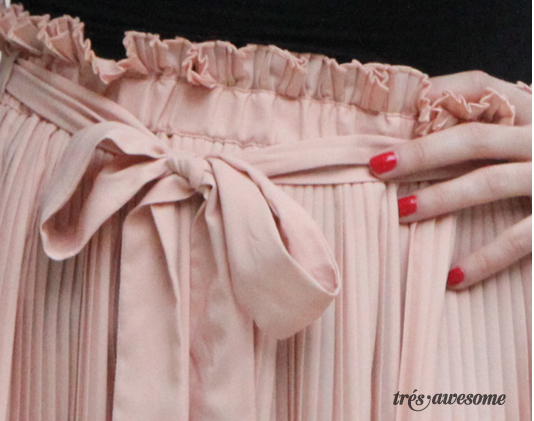 She looks pretty as a peach here in this soft pastel pleated skirt. i think this skirt is anthropologie! emma i love all this summery shots your capturing!